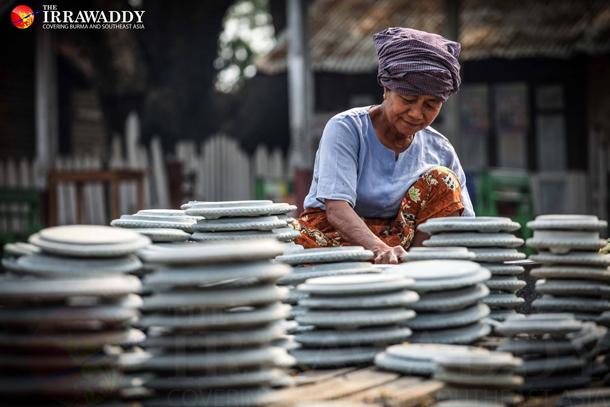 Thanakha is a fragrant paste traditionally used by Burmese for cosmetic and medicinal purposes. 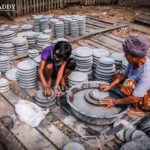 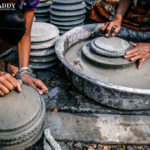 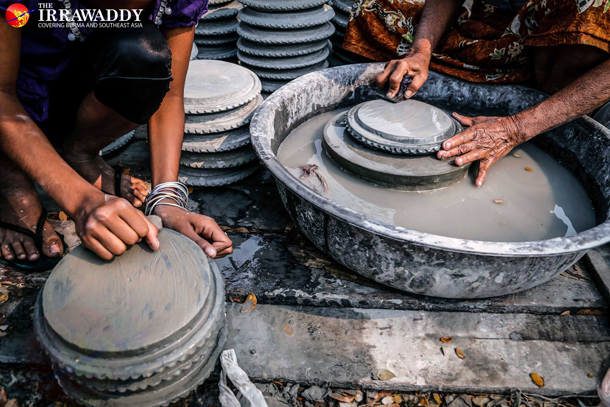 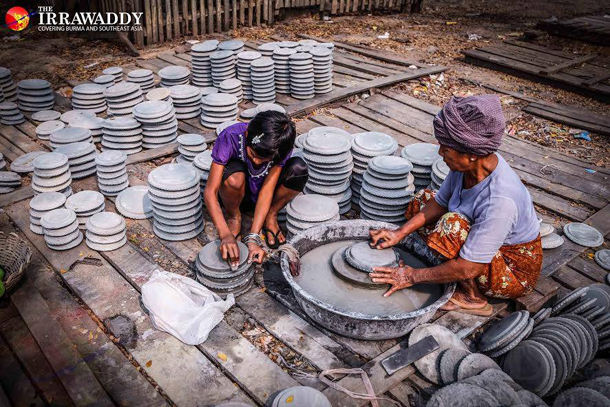 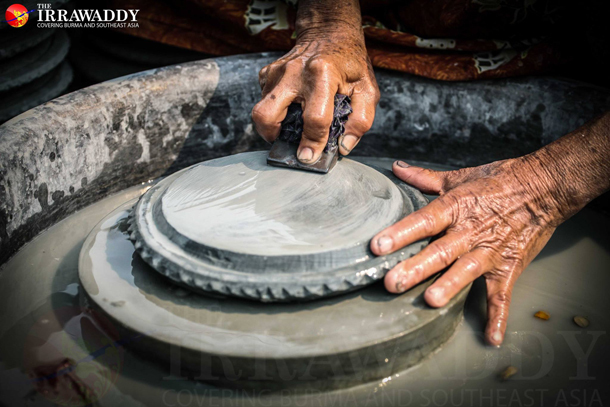 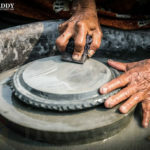 It is made by grinding the bark or root of a Thanakha tree (typically, a Limonia acidissima tree) on a flat, circular stone known as kyauk pyin, designed specifically for this purpose. 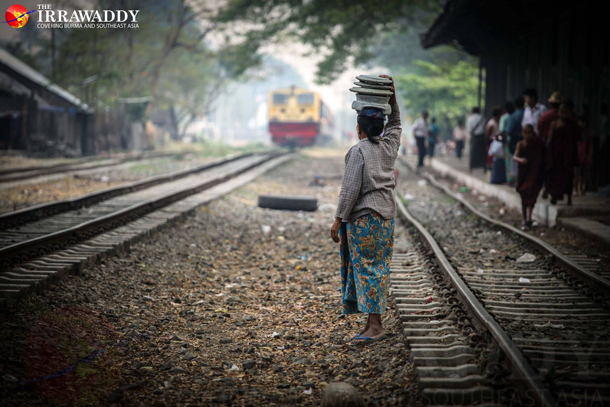 Indeed, Thanakha is nothing without a kyauk pyin. 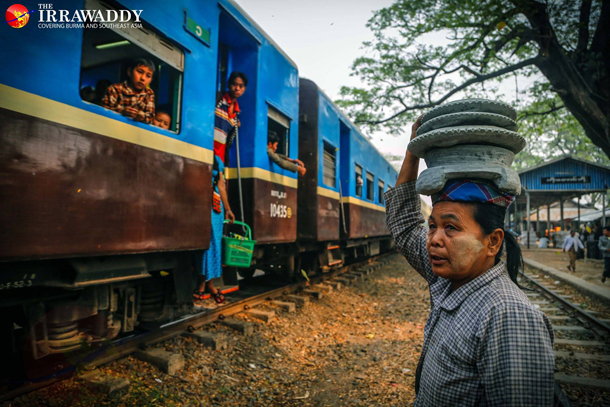 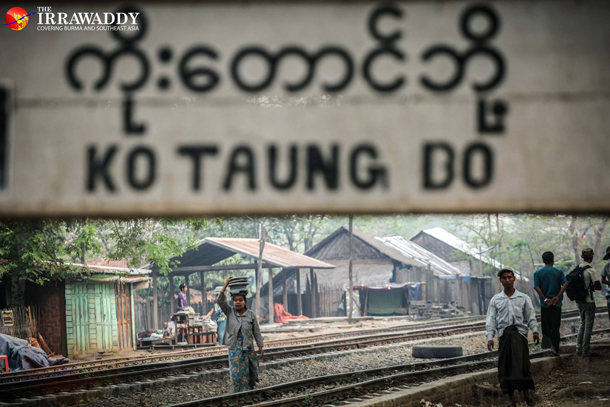 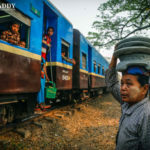 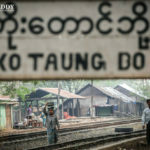 Lying next to the stretch of the Mandalay-Myitkyina railway line that passes through Sagaing Division’s Kantbalu Township is Ko Taung Bo village, one of Burma’s main suppliers of kyauk pyin. 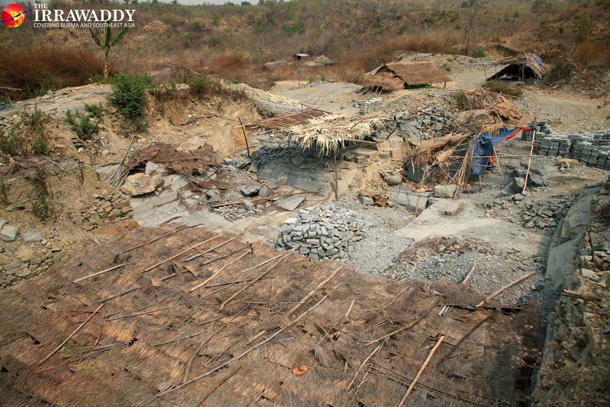 Most of the villagers make a living by extracting stone slabs, often in very simple ways, from a mountain approximately 2.5 miles from the village. 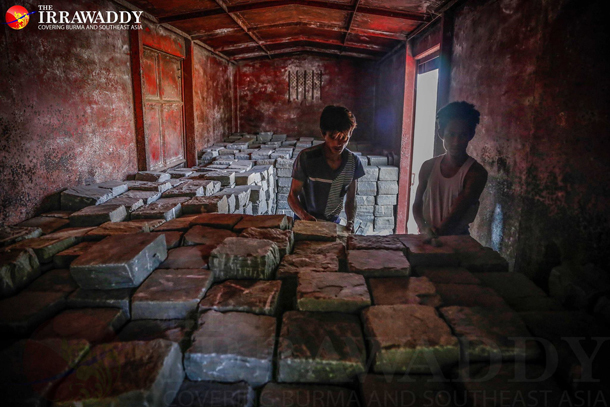 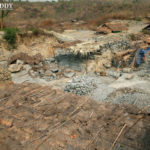 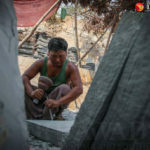 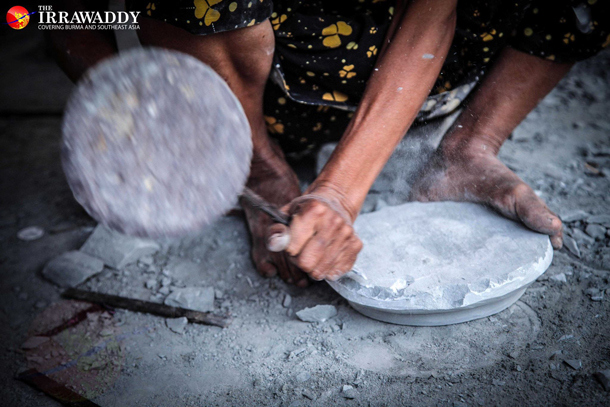 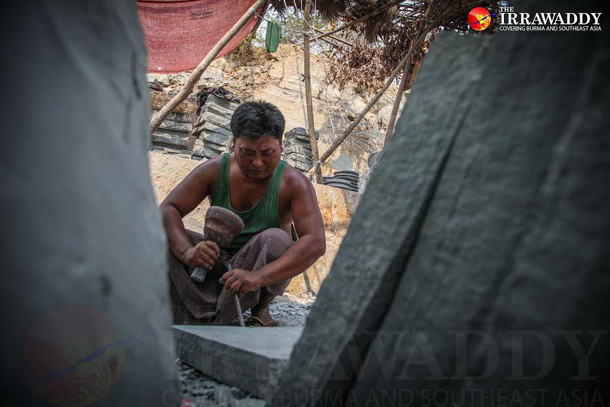 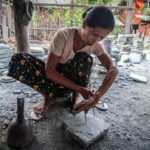 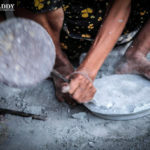 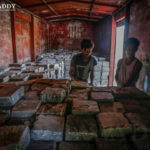 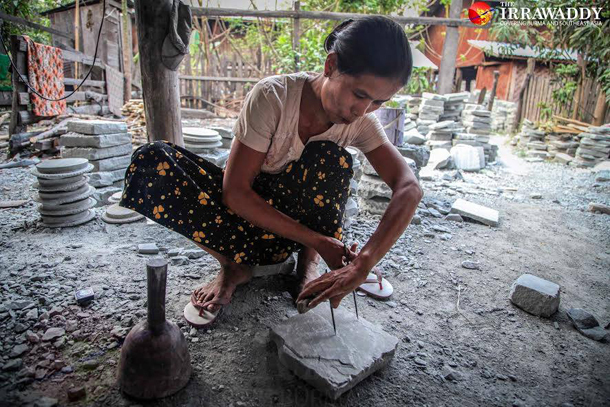 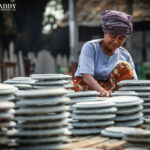 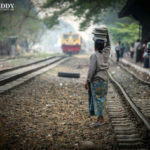 Upon extraction, they either refine the stones into kyauk pyin to sell at the Ko Thaung Bo railway station or they send the slabs to other areas across Burma for refinement and, eventually, distribution.